Four separate lives become intertwined in this poignant, stripped-back look at love… in the past participle. Following its sell-out run at the Edinburgh Festival Fringe 2013, A Friend of a Friend Productions brings this beautiful, award-winning piece to the Tabard Theatre for its London debut as part of the Playmakers festival. 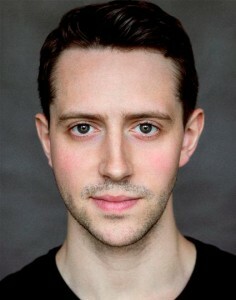 Joshua studied BA Acting at Arts Educational Schools London and graduated in 2013. Roles at Drama School include; ‘Romeo’ in ‘Romeo and Juliet’, ‘James’ in ‘Tory Boyz’, ‘Insecurity Guard’ in ‘The Wonderful World of Dissocia’, and ‘Stanley Kowalski’ in ‘A Streetcar Named Desire’. After leaving Arts Ed, Joshua took a show up to the Edinburgh fringe with ‘The Spider Blues’ comedy troupe, called ‘Captain Alan of Canary Wharf’, where he played ‘Alan’. The Spider’s have since gone on to write and film several sketches and short films. 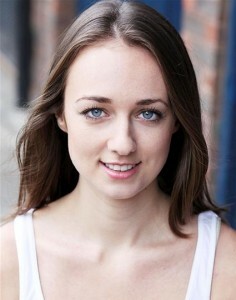 Some other credits since leaving Drama School include; ‘Antipholus of Syracuse’ in ‘The Comedy of Errors’ at ‘St. James Theatre’, ‘Adrian’ in ‘Dead Dove’ at ‘The Brockley Jack’, ‘Ishmael’ in a feature film of ‘David and Goliath’, and ‘Lavender’ in a short film called ‘Amy’s Dance’. He has just come from a TNT production of ‘Peter Pan’ touring Germany, playing ‘Captain Hook’. Tamaryn is a successful actress and voice artist working in commercial film, television, shorts and independent/fringe theatre. She is best known for her role as Annalise Appleton in Hollyoaks. Since leaving the soap, TV and film credits include Casualty and feature films Stalled and Vendetta. Theatre includes Regina in Ghosts, Frances in Secret Cinema’s Miller’s Crossing, and Moon and Girl in Aria Entertainment’s acclaimed production of Blood Wedding at the Courtyard Theatre. Tamaryn is a proud graduate of ArtsEd and is represented by Simon & How Associates. Ashley is thrilled to be working with Patrick Maubert once again in the heart of new-writing. Recent theatre roles include: Tour Guide in “Tale of Two Cities” Southwark based theatre company A FRIEND OF A FRIEND Productions and Jane in “The Wonderful World of Dissocia” at Arts Educational School London. At drama school Ashley was one of two students picked to go to the RSC Drama School Workshop and she represented Arts Ed for The Carlton Hobbs Bursary Award. Hoping be at the forefront of new-comic-writing, she is on the hunt for the next generation of comic geniuses and has been described by Robert Lindsay as ‘a woman with impeccable comic timing’. In admiration of her parents and sister, she thanks them for their support but apologises as this performance, as always, will be dedicated to her Nana. Philip’s previous theatre credits include: ‘The Cow Play’ (Rosemary Branch Theatre), ‘Jayne Eyre’ (Rosemary Branch Theatre/UK Tour, ‘A Clockwork Orange’ (UK/International Tour), The Oresteia: Eumenides (CPT), ‘Playlist’ (Theatre 503) and ‘Titus Andronicus’ (Edinburgh Fringe). Screen credits include ‘EastEnders’ (BBC), ‘Beyond Wonderland’ (DDMC), ‘Inner Workings’ (Clever Pictures) and a variety of short films and features including ‘SIX’, ‘London Isn’t Waiting’, ‘COPE’, and ‘Colony’. 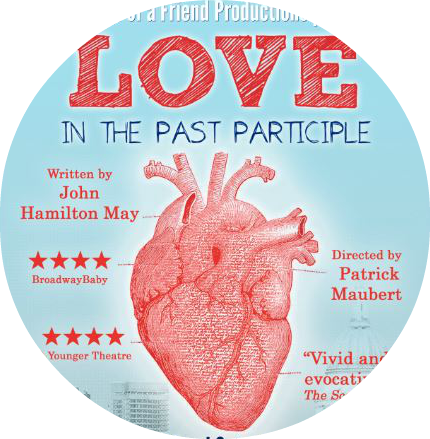 ‘Love In The Past Participle’ marks Philip’s third project with Friend Of A Friend. 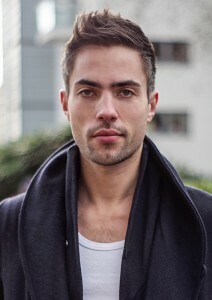 Philip is co-founder of pluck. Productions whose hotly anticipated second project will burst on to the London fringe this summer. John is a playwright, originally from North Yorkshire. His first play, The Room, won the Barclay Writing Award, judged by Sir Alan Ayckbourn in 2007. 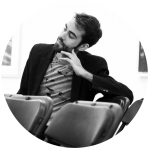 Since then, his work has been seen in venues across the country such as the Roundhouse, Ovalhouse, the Tricycle, West Yorkshire Playhouse, Contact Manchester, Northern Stage, the Tron and the Edinburgh Fringe Festival. His play Baby Blue received its North American debut in 2013 and the translation of award-winning Love in the Past Participle is currently being prepared for production in Madrid and Barcelona. John is the winner of the BBC Verb New Voices Award, and was recently shortlisted for BBC Opening Lines and the Perfect Pitch Award. 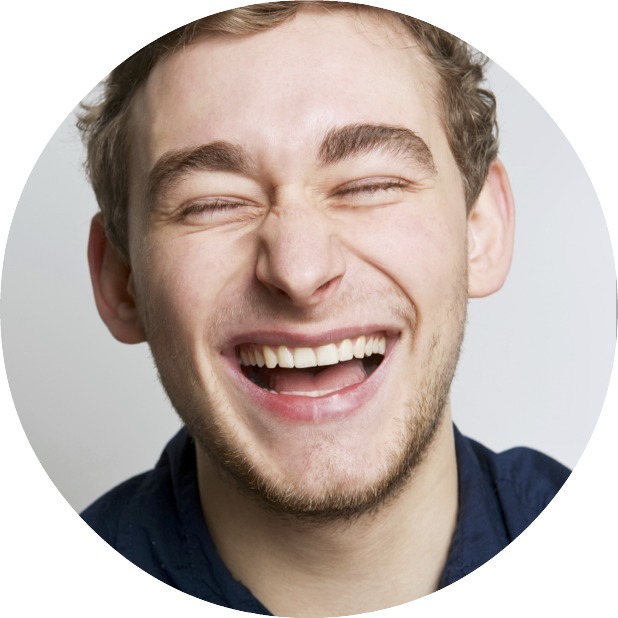 John is a graduate of the Soho and Tricycle young writers schemes and this production marks his fourth collaboration with A Friend of a Friend Productions. He is proud to be represented by Knight Hall Agency.